If the thought of vacationing with your parents makes you cringe, fear no more! Help is here! Planes, Canes, and Automobiles: Connecting with Your Aging Parents through Travel is a gold mine of practical advice, funny anecdotes, and tales of triumphs and travails from Val Grubb, who has traveled more than 300,000 miles (and counting!) with her 84-year-old mother in the past twenty years. When planning a recent trip overseas, however, Grubb realized that her mom's physical and mental capabilities had suddenly changed. Her mom now needed a wheelchair, for example, and was afraid to travel alone (even on short flights to meet her daughter for a long trip together). Grubb set out to find suggestions for handling these changes and after much research was struck by the lack of comprehensive information that shed light on the nuances of globetrotting with aging parents. 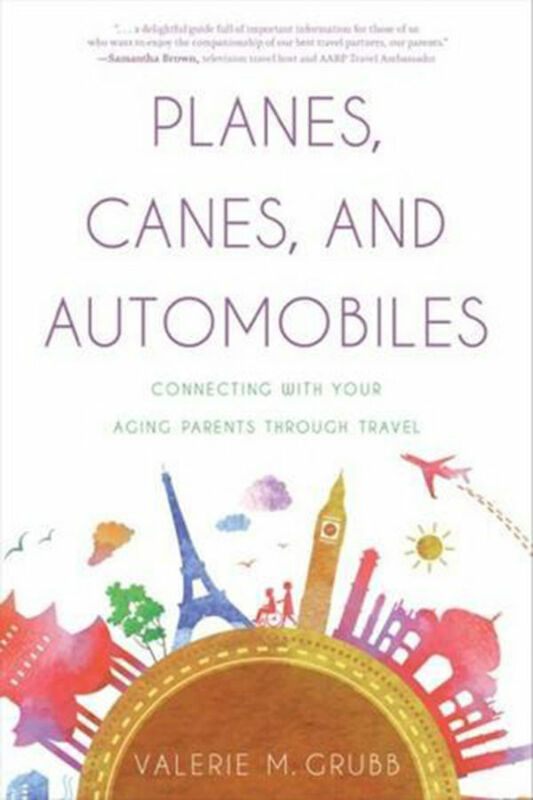 Planes, Canes, and Automobiles is the go-to guide for adult children: it combines her wisdom from years of traveling with her own aging mother with sensible tips, checklists, and sample itineraries to help readers plan and enjoy a vacation with their parents!